American industrialist Henry Ford may have built a virtually untouchable automobile empire during his lifetime, but it’s his lesser-known – if no less fantastic – failures that perhaps most exemplify the full breadth of his ambitions. Seeking to subvert the British monopoly over rubber in the late 1920s, Ford was inspired to carve out a utopian pocket of Americana deep in the Amazon rainforest. On the banks of the Tapajós River, he established the prefabricated industrial town of Fordlandia. When it became evident that rubber production would be impossible in the jungle, Fordlandia evolved into a social engineering experiment. From the wilderness sprouted an alien settlement that wouldn’t have felt out of place in small-town America, complete with a hospital, golf course, hotel, library and rows of white clapboard houses. Still, the colony was plagued by discord in spite of its Stepford-like perfectness. Local workers were vexed by the strict restrictions imposed and enforced by inspectors – alcohol, tobacco, women and even football were forbidden within the town. Then there was the infamous Breaking Pans revolt of 1930, after labourers grew tired of being fed American-style hamburgers and canned food. Six years after its creation and $20 million later, Fordlandia was abandoned along with its ideals – until now. This autumn, London-based design duo Studio Swine – helmed by Azusa Murakami and Alexander Groves – have conjured an alternate reality for Ford’s failed vision, in a recently launched exhibition at Fashion Space Gallery. 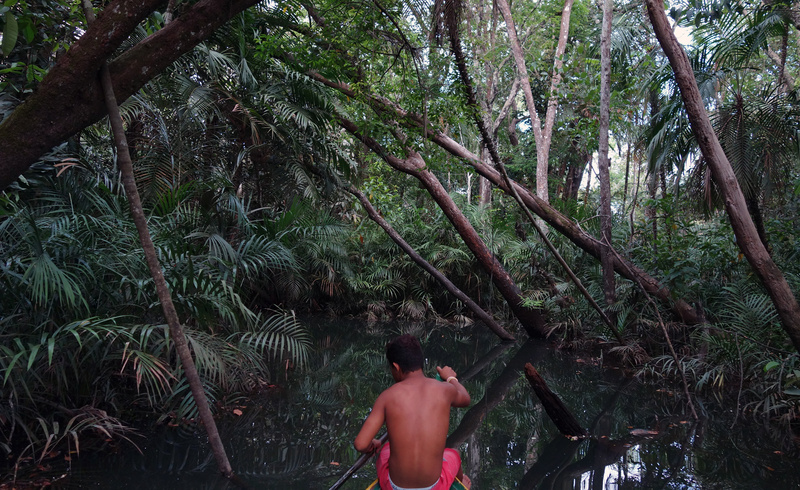 In their reimagining of the Amazonian town, Fordlandia fulfills its destiny of intertwining nature and industry in ‘a symbiotic relationship’. Studio Swine has produced a striking collection. Inspired by a visit to the exhibition’s namesake, the duo created a show based around a fictional Fordlandia worker’s home. Fittingly, the materials palette includes reclaimed Brazilian walnut, skins from pirarucu (an Amazonian fish) and, of course, rubber. As well as a specially commissioned film by Juriaan Booij, the pair have also collaborated with London College of Fashion graduate Emma Fenton Villar on a trio of denim work-wear jackets and a denim wall-hanging, and with student Erica Weide on a textiles screen. 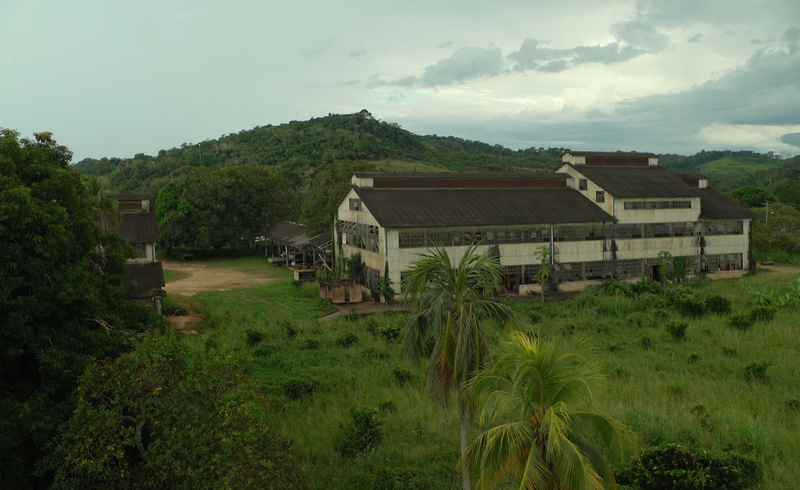 Fordlandia remained largely uninhabited until the late 2000s. Today, the town is home to around nearly 3,000 people. ‘Failure is simply the opportunity to begin again, this time more intelligently,’ Ford once mused. In Studio Swine’s case, this certainly rings true.